Viking pedestrian mowers, chipper shredders and cultivators while stocks last. Marshall’s Garden Machinery is a family run business specialising in the sale of garden machinery, lawnmowers and garden accessories. With a service department fully operational throughout the year we can accommodate all types of equipment including servicing and repairs of garden machinery. Every machine purchased and collected from our shop is built up ready for action and is demonstrated to the customer. 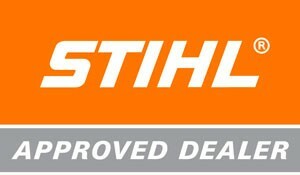 We partner with some of the most well known and respected garden machinery firms in the world including Hayter, Stihl, Viking and Toro. Our team takes pride in offering expert advice, competitive prices and exceptional after sales care. We have built a solid reputation for our customer service and are proud to be local ambassadors for these market leading suppliers. 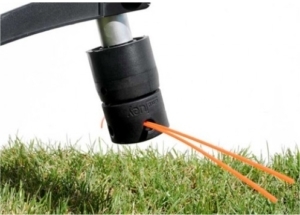 Littl’ Juey Line Trimmer Heads Kick Grass! The quiet, exhaust-free battery power allows full freedom of movement while carrying out gardening tasks and maintenance. Long lasting and simple battery charging with a push button start – no more cables! 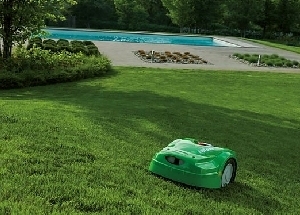 The iMow robotic mower doesn’t just mow the lawn, it also provides fully automatic lawn care tailored to your garden. 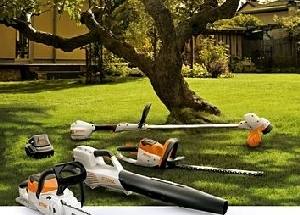 Extremely fast, easy to use and a lush green lawn.